NO Spider Man in Spider Man 4?! What?! I just heard that they are making a ‘Spider Man 4’, but it will not have Spider Man in it. I will let that sink in for a few minutes. And yes you did read that right. Of what I heard the movie company wants to expand on the ‘Spider Man’ world. So, any character is up for grabs to be expanded in this movie. So which character would you like to see explored in ‘Spider Man 4’, that right now is slated to be out in 2018? Also how do you feel about Spider Man not being in that movie at all? 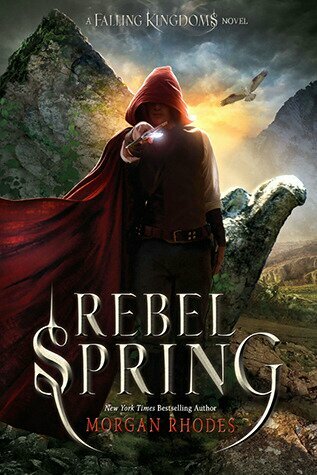 Rebel Spring from Morgan Rhodes has been out since December 3. It is the second book in her first series of this kind under her birth name, not her pen name. 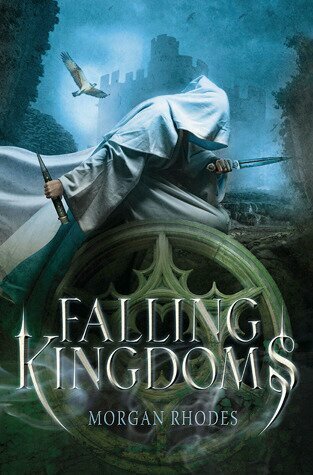 The first book in this series is ‘Fallen Kingdoms’, that I already have put my review up for all of you to see. I love the front cover design of the person on it. To me it looks like it is ‘Magnus’ and the Fallen Kingdom one leads me to believe that it is ‘Jonas’ on that cover. Leaving only the two girls left to be put onto the covers of them. But, then again I could be totally wrong. Lol. The whole sleeve cover was very well done, once again. The add-on of the hawk flying in the background was very smart and a tease as well. To that the ‘Watchers’ are always watching. Yes I already do have my own copy of ‘Rebel Springs’ and can not wait to read more of it when able it read more. Kinda hard to do that with a lot of things happening all at once and no time to myself to do things I would like to do as well. And yes I will post a review for it when I am done reading it. Cleo is the youngest of princess of Auranos, daughter of King Corvin Bellos. During a trip to Paelsia to get wine that was rumored to be the best all around. Even though all of Paelsia was famous for their wine. Things started to happen and it all slowly started to get worse as the weeks went by. Cleo finally find out what her dads hushed talks were about, and it was the last thing that she or anyone ever wanted to happened. After many years of peace between the three kingdoms, blood would be spilled once again. Jonas has had a lot of anger…hate….revenge on his mind and heart after losing his brother. Ever since then he has wanted to kill the people behind his brothers death, and the kingdom they are from. One of Jonas best friends ends up helping him figure out a plan to do that, and not end up dying trying to do it. They also ended up getting help from two people, but are they really trying to help or do they have their own plans? Lucia went though her days as a princess as any other princess would. But, the life that she has was not originally meant for her to have. As her life was meant to go a completely different way. Her brother Magnus helps her get though with a secret that is huge, if certain people found out she could be put to burn to death. Magnus has a secret just like his sister Lucia does, but his is not of the mind….but of the heart. If the person that he loves finds out…it could kill him….if it goes wrong. As things been become unraveled for him one piece at a time, he becomes more closed up and like his father as well. Author Morgan Rhodes did an excellent job explaining the four main characters thoughts, feelings and everything else. As I went though each chapter I felt what they felt; laughter, sadness, anger and any other feeling that they felt. I felt like I was there going though what they were going though at the same time. The mesh of the four characters stories so far were so very well done. I can not wait to see how all of it will end. Fallen Kingdom is a beautiful well written book, that young adults will love to read. There are also scenes of graphic violence; blood also some graphic words as well. I would recommend this book to anyone who is looking for a new series to read. 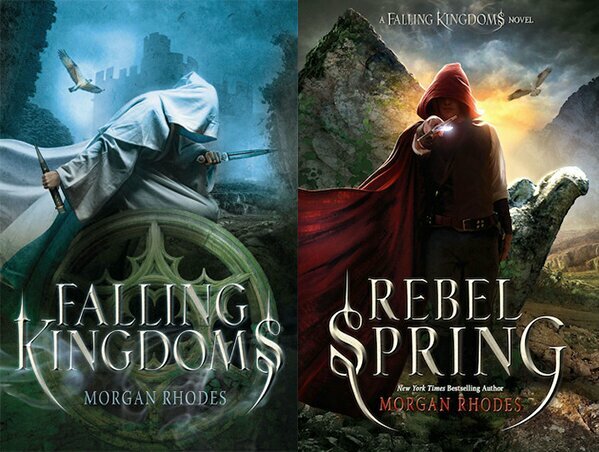 Morgan Rhodes is a excellent author, and I can not wait to read the next book in the series. City of Heavenly Fire pushed back to May?! 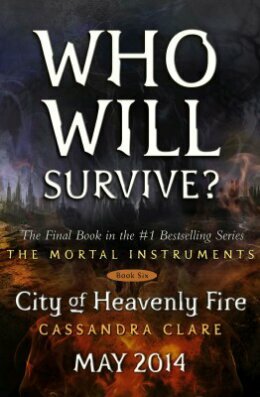 Last time I had done my reasearch on ‘City of Heavenly Fire’ was to find out when it would be released. That would of had to been a month or two after ‘Clockwork Princess’ was realeased in March of this year. 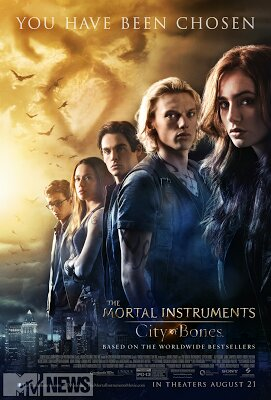 I do a random search for two things for ‘The Mortal Instruments’ series one being the auctal realease date for the book and who the people will be on the back of it. As their are many different ideas of who could be the people on the last cover of this epic series. But, what I did not see coming was the change of the release of the book. It was originally slated to be released in March of next year….but now has been moved to May of next year. I do not know why that is, but if it is the same as games that go for it. The longer it takes for things to come out, the better it will be in the end. 3 more Fast and Furious Movies?! Really?! Good morning everyone on this cool Wednesday morning. I hope that Your week so far has been good to you, and hopefully the rest of it will be good for you as well. A few days ago I heard a news story that I could not believe the first time that I listened to it. After I listened to it again, it did make more sense to me that it could be true. As we all know already know earlier this year we go ‘Fast and Furious 6’ in theaters. But, what a good amount of you might not know is that we are getting ‘Fast and Furious 7’. The release date for it is ‘July 11, 2014’. The date might change to something else, but I don’t think that it will as they are already a good amount into the filming of it. As you can tell this is not the reason why I am posting this up for all of you this morning. As you can tell by the title that there is a change that we might get ‘Fast and Furious 8, 9 and 10’. I have not seen all the movies that have been released so far, but of the ones that I have seen I do love them so very much. The last one that I did see was number five, sadly have not seen six but will when it comes out. In my opinion of all of this, they should just stop while they are ahead and the movies are excellent and us fans love them. If seven, and the other three that they want to do are excellent as all the others have been so far, then I will watch them. Only time will tell how seven and the rumored ‘8, 9, 10’ will go. Please give me your thoughts and opinions on all of this. Also the link below is where I heard the rumors for ‘8, 9 and 10’. So please do watch and comment afterwards, thank you. Hello everyone, it is Amber here on the cold Monday afternoon (well it is here for me, hope it is better where ever you are). I hope you had a excellent weekend and that your week will go good as well. Today is a preview of my first book review; Fallen Kingdom by Morgan Rhodes. I am just about done reading it and love it all so far. Only have fourteen chapters left to go….if I remember right. ~giggles~ I will be putting it up at least a day or two after I am done reading it. Of what I will say right now for my review. I do recommend it to people that love these kinds of books; betrayal, magic, fantasy, medieval, science-fiction. Or other things of that nature.